Fun fact: According to the Advertising Specialty Institute’s 2016 Global Advertising Specialties Impressions Study, people typically keep promotional items for more than seven months. That’s an amazing statistic on its own, but the journey for promotional items doesn’t end there. The same study found that 60 percent of consumers pass promotional items along to friends, family and co-workers when they are done with them. If that next owner of one of your branded items keeps it for even half the time of the original owner, you’ve kept two potential customers aware of your brand for more than a year. Besides, who doesn’t like freebies? Combined with effective print and digital marketing programs, promotional items can help elevate your brand by building loyalty with customers, raise awareness with prospects, and improve employee engagement and satisfaction. 88% of people remember the advertiser on promotional items. Additionally, 85% of the recipients do business with the advertiser on the product and 83% like receiving them. There’s a lot of “noise” for consumers and B2B buyers in today’s marketing and advertising environment, making it harder than ever for brands to stand out. However, according to Promotional Products Association International 88% of people remember the advertiser on promotional items. Additionally, 85% of the recipients do business with the advertiser on the product and 83% like receiving them. That’s a huge opportunity to build brand loyalty with your customers. 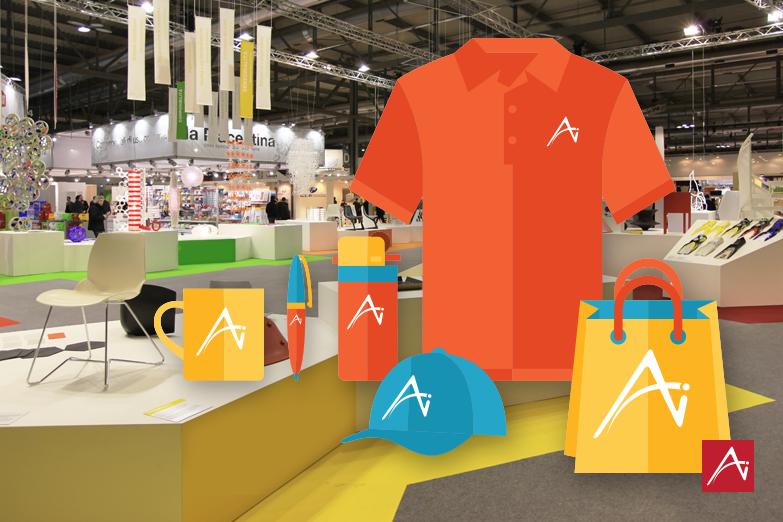 Whether you’re a frequent trade show and expo exhibitor or a business development professional, having a cache of promotional items helps introduce your brand to new leads and prospects. Many products can be personalized, making great gifts for client and prospect birthdays or work anniversaries, and seasonal merchandise is always a big hit. The holiday season also has a robust selection of branded fine chocolates, candies and charcuterie favorites to choose from. With thousands of categorized options to choose from, finding items that reflect well on your brand and product lines within your budget is easier than ever. Employees are a brand’s best advocates, so ensuring they are extolling the virtues of their employer’s brand with promotional items is a win-win. Remember, everyone likes freebies, including employees. From reward and recognition programs to special event door prizes and giveaways, employees appreciate the cool gadgets, desk accessories and branded clothing they receive from their employer. And remember, many people bring promotional items home or wear them out and about, providing even more brand exposure. CONTACT US – Speak with a Marketing Implementation Solutions expert. SUBSCRIBE – Receive articles, tips, and special offers to elevate your print and digital communications.